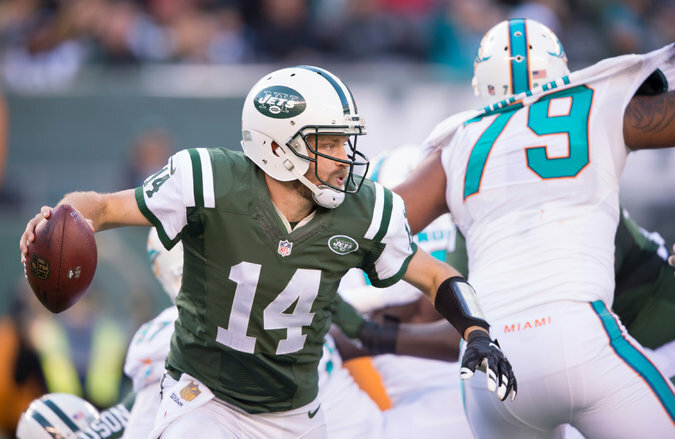 Jets quarterback Ryan Fitzpatrick threw for four touchdowns against the Dolphins on Sunday. Jets quarterback Ryan Fitzpatrick asked center Nick Mangold a crucial question on Monday. He wanted to know what a regular-season game against the Giants was like — if it felt different. So Mangold told him. No mention of actual football or rivalry between the Jets and Giants. The teams play each other every four years, and no matter how many players shuffle in and out, they tend to view the game the same way. It is critical not because of any heightened intensity or deep, longstanding enmity but because it counts, unlike the annual preseason matchup.